The AudioCodes Mediant 800 Gateway offers a complete connectivity solution for small to medium sized enterprises. 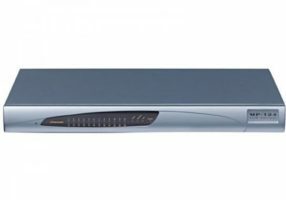 Supporting up to 30 voice channels in a 1U platform, the Mediant 800 provides versatile connectivity between TDM and VoIP networks. The M800 is used to connect the Aeonix to the PSTN. The AudioCodes MP118 Gateway has 8 voice ports and supports a lifeline for E911 and network failures. 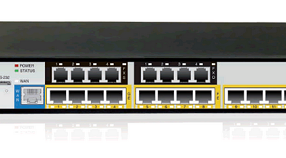 It integrates via FXS, FXO (or mixed FXS/FXO) or RJ11 interfaces. 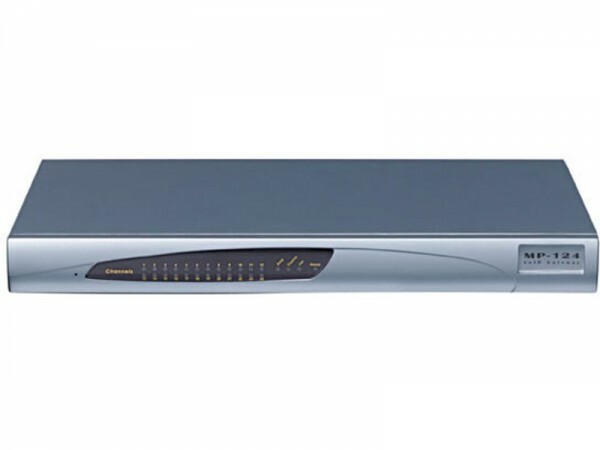 The AudioCodes MP1224 Gateway has 24 voice ports and integrates via FXS or 50 pin Telco Connector. The MP124 complies with the SIP protocol and provides Stand Alone Survivability (SAS) when there is no IP connection between branch locations and a central SIP server, SIP proxy or central IP-PBX.